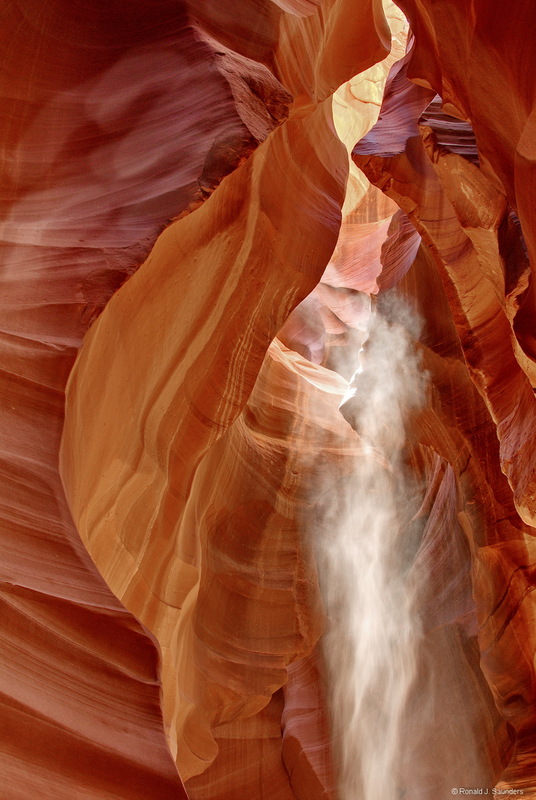 A late May beam of light enters Antelope Canyon. I have this print hanging in my family room. Photo © copyright by Ronald J. Saunders.